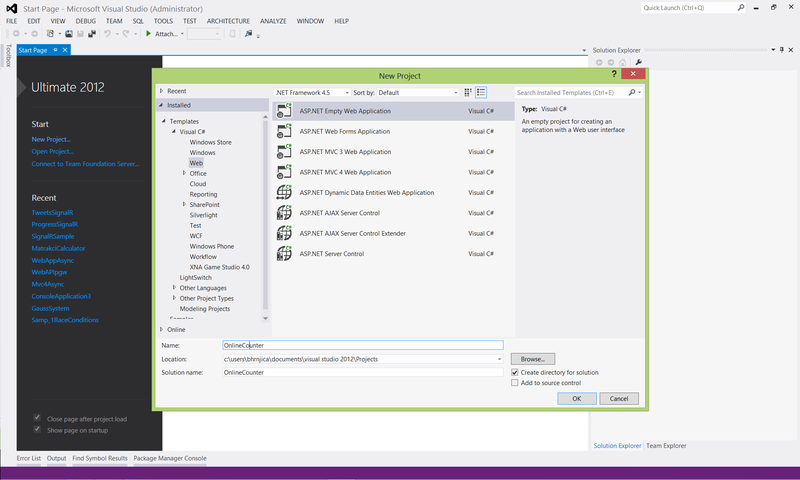 SignalR is a web technology for building real time ASP.NET web applications. SignalR is an open source project which simplifies the complicated tasks of creating bidirectional communication between clients and server. SignalR is founded on top of WebSockets, as well as other similar technologies. For this post I have implemented a very simple SignalR Web Application which counts how many users are online, so it is called Online Counter. Online Counters are a very popular component for the web. So let’s start with the implementation. 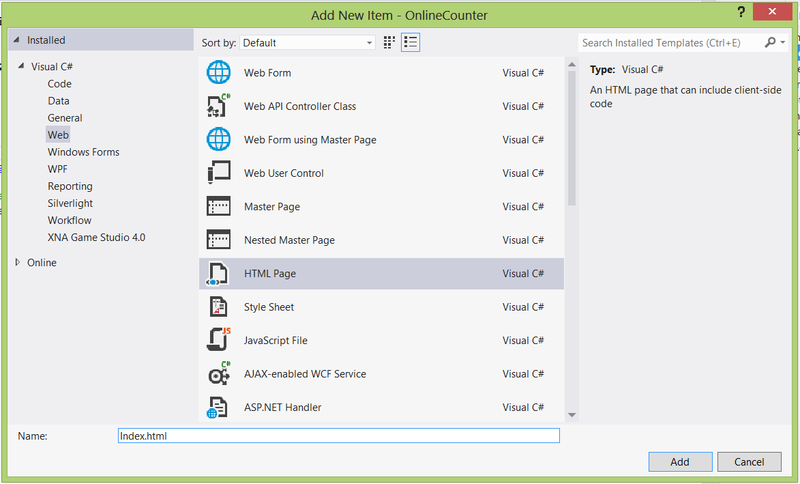 Open Visual Studio 2012, and create new Empty Web Application called OnlineCounter. 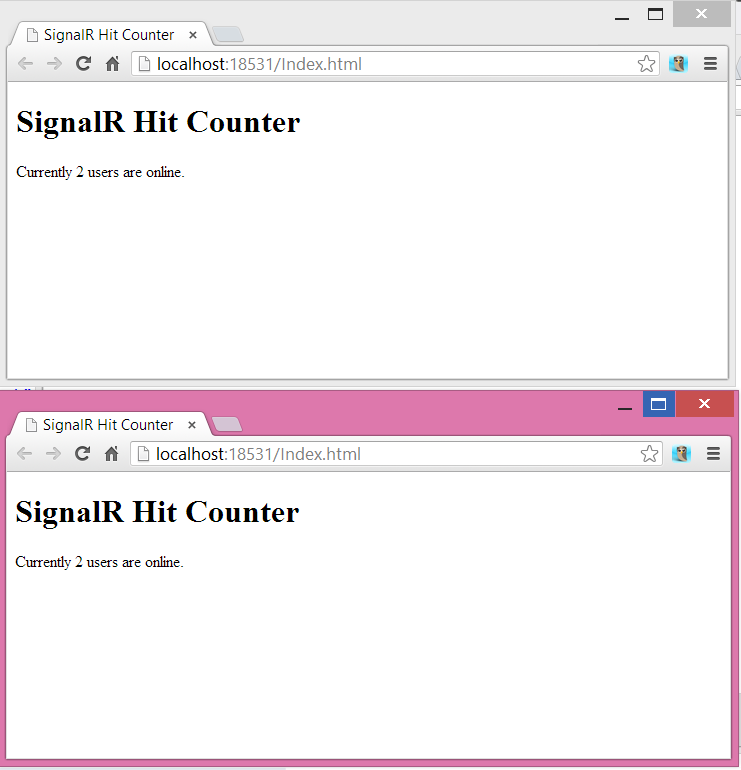 After we added SignalR references, we are implementing Server side of the SignalR HitCounter Web Application. 3. Add a new class named HitCounter. The HitCounter class must be derived from the Hub. More info about Hub and other SignalR components you can find on the official site. As you can see from the source code, we have override two virtual methods when user is reach the page, and also when the user live the page. The Send method is responsible to send message to all available clients. We need also to implement Global Application Class to register this hub. 4. Add Global Application Class in to your project, and register MapHubs, as picture shows below. 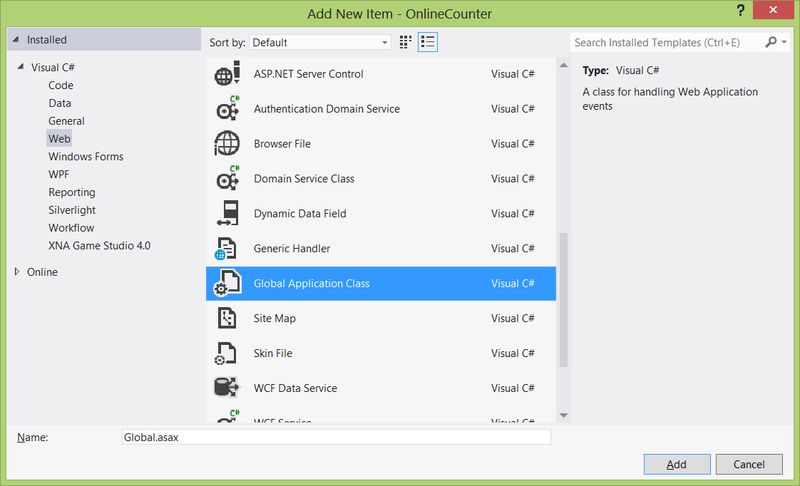 The following code implementation shows how to register Hub in Global App Class. 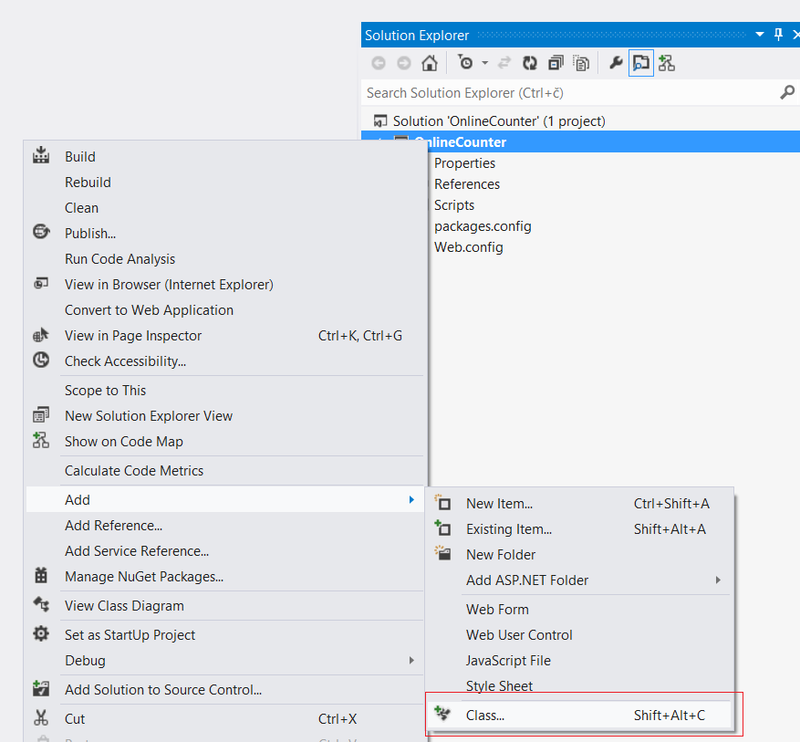 After we implemented Services side of SignalR, we need to implement client side. 5. Add new html web page in to project. 7. Send Notification to Server that the new User is reached the page. // Create a function that the hub can call to recalculate online users. 9. Compile and run the code. Open two Browser Windows. You can see that SignalR has counted two online users. Source code for this blog post demo you can find below.